Featuring both emerging and established Yorkshire connected artists, the selected eclectic work ranges from Emma Spence's serene figurative ceramics to the beautifully rendered semi - abstract watercolours by local artist, William Watson - West. 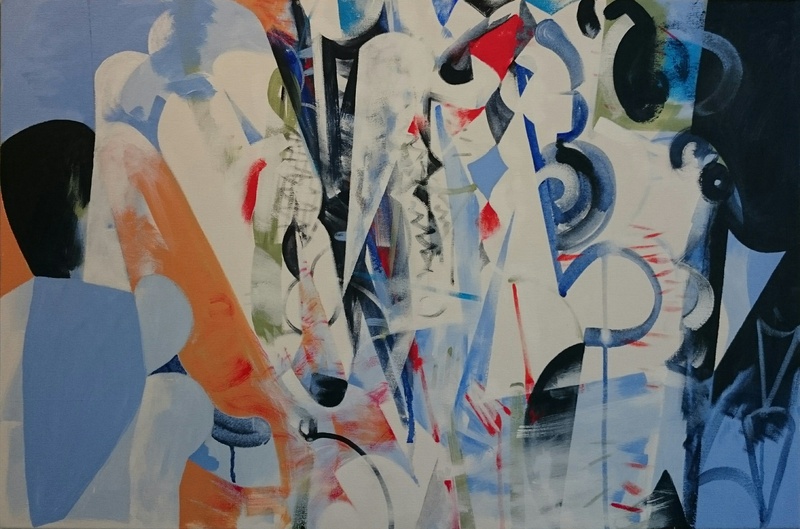 We are also delighted to introduce the work of London based American painter, Angeline Tournier. 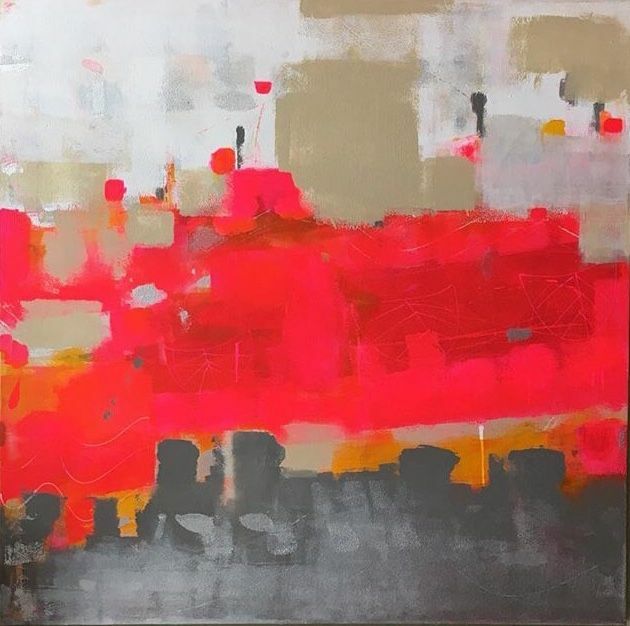 Her colourful abstract work is informed by the wide open spaces of her native Colorado and first home in the UK, Yorkshire. Her use of hot pink is fabulous, and a lovely edition as we move into (hopefully) warmer months! More details about each artist and examples of their work can be seen below. Please click on the image to enlarge. We hope you will be able to join us over the coming months. 'I use hand-building techniques to create individual works. This takes on a variety of forms, but experiments with more sculptural work often lead back to producing vessel forms. I enjoy the slow and relatively controlled process of hand-building and use a combination of pinch pots, slabs and coils. It allows time for thinking and reacting to the material at different stages. Currently a limited pallet of colours coming from a range of clays, under glazes and oxides creates a sense of coherence across the work. 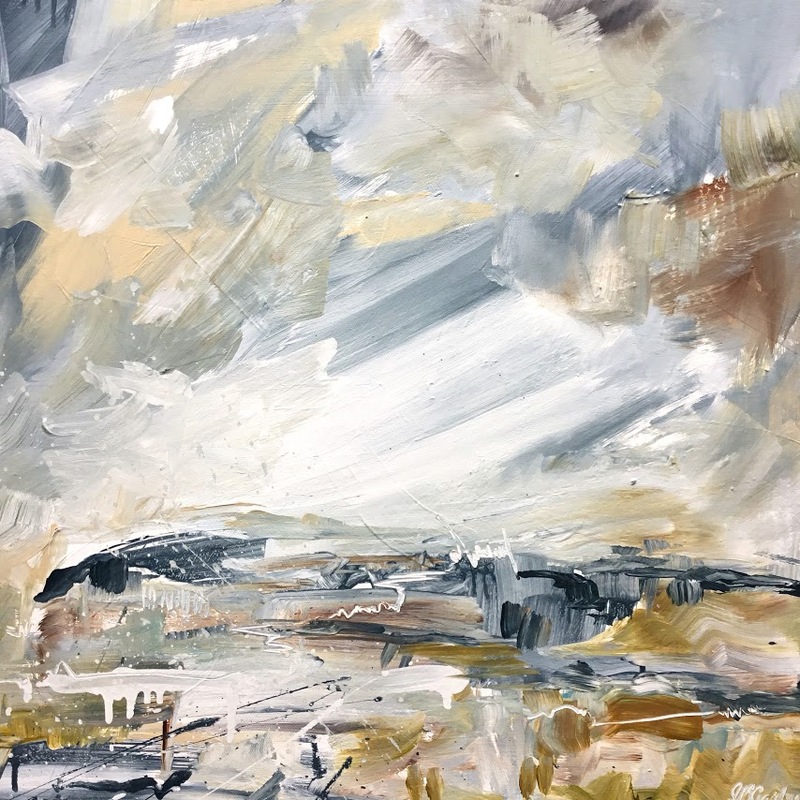 Inspiration comes from looking at the landscape and seascape around where I live and find I am influenced by the man made and natural marks in the environment on both a large and small scale'. Katie works from her studio in Scarborough and exhibits regularly throughout the UK. Sally is a contemporary landscape artist and printmaker that is fascinated by the light and textures in the world around her. I'm influenced and energised by the surrounding wilderness and quality of light, which often become the basis for my expressive creations. Each piece is a direct response to nature and my experiences in it. 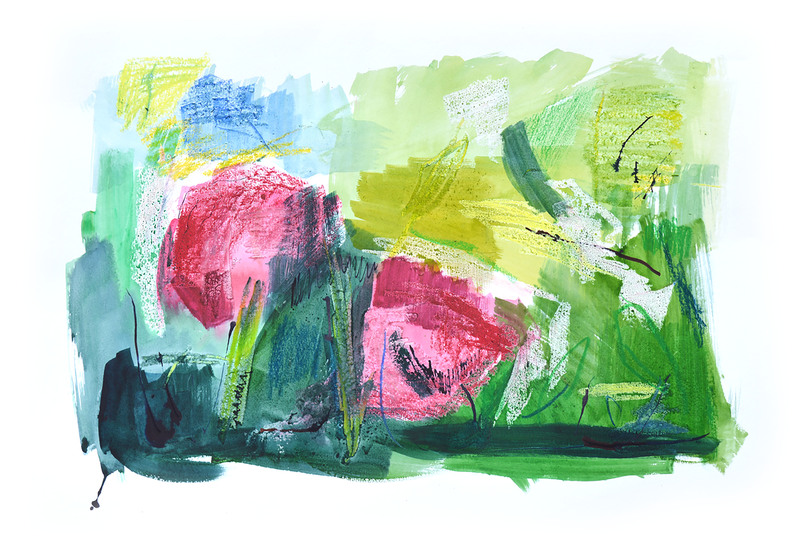 Whether it be the abundance of flora and fauna, the local wildlife or views over the rugged landscape, all are expressed through the gestural application of paint, creation of layers and texture within my work. Each piece hopes to evoke an emotion from the viewer, create a mood or trigger a memory as well as capture a sense of place. Based in the Yorkshire Dales, Sally was delighted to be selected for the 2017/18 prestigious New Light Prize, showing in The Bowes Museum, Barnard Castle, Huddersfield Art Gallery, Bankside Gallery, London, and Tullie House Museum and Gallery, Carlisle . 'I paint semi-abstract landscape and still life, my main medium is oil, but I also like to use a wide range of materials including charcoal, acrylic, ink and pastel. 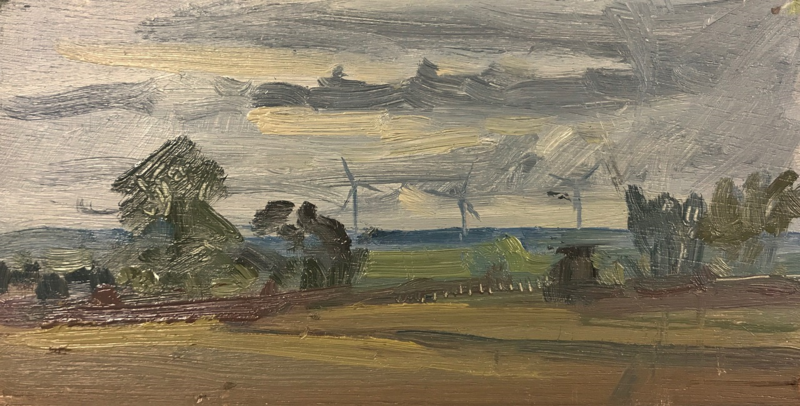 My landscapes are a response to feelings and experiences of places I know well and feel connected to –the Yorkshire east coast, the Peak district and the north coast of Wales. This work is intuitive and I work from memories and imagination. Gill works from her studio in Sheffield. Her work has been selected for numerous exhibitions in 2016/2018 including the RBSA Prize, Ferens Open, Midlands Open, Tarpey Gallery and the Derbyshire Open, Buxton. Peter has a diverse art practice, which includes painting, printmaking, photography, installation and public art. He combines traditional art practices with new technology and is interested in the interplay of visual aesthetics, technology and lived experience and how technology plays an influencing role in the creation of artworks. 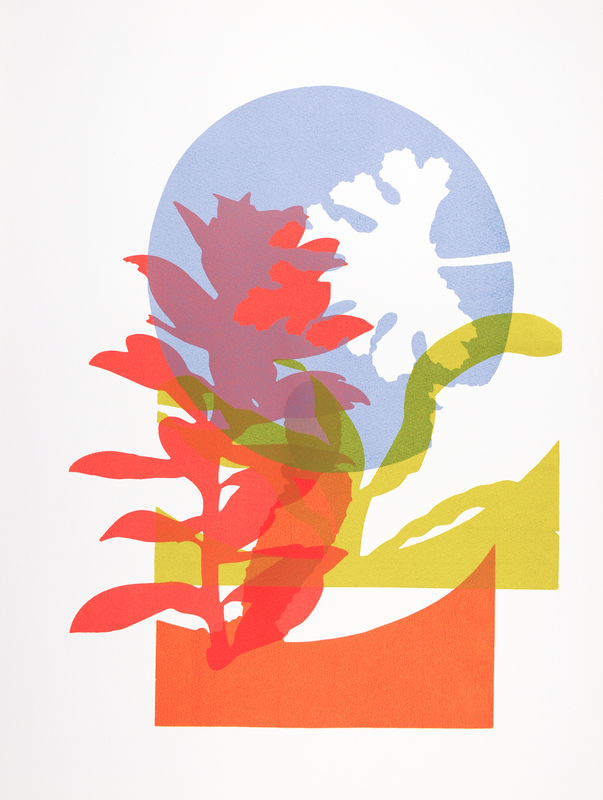 His subjects include architecture, landscape, found objects and, as seen in this exhibition, plant forms. Based in Sheffield, Peter has worked as an artist for over 30 years. His exhibitions have included solo shows at The Mappin Art Gallery, Sheffield, MAC, Birmingham and Lakeside Arts Centre in Nottingham. He has exhibited work in Royal Academy Summer Exhibitions. Influenced by the natural landscape around him, Josh uses his sketchbook as a tool to make decisions to inform his next painting. Working predominantly 'en plein air', he chooses to work in all weathers to capture the shifts of light, atmosphere and complexion of his surroundings. 'Embracing traditional oil painting techniques, I aim to create work that represent my surroundings in more than just a visual expression, my paintings often try to recreate an essence, taking inspiration from the Yorkshire landscape. Although only in his second year at Leeds College of Art, this is the second time that Josh has exhibited with us, such is our love of, and belief in, his work. Like Sally Marie Gardner, Josh was delighted to be selected for the prestigious New Light Prize in 2017/18. 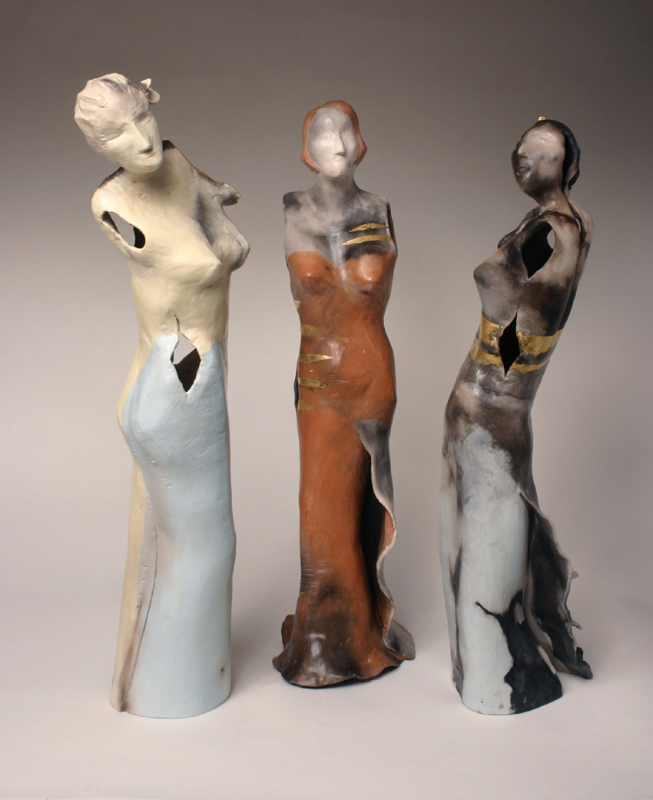 'My work is smoke fired figurative, sculptural ceramics which are built by hand using slab built, pinching and coiling techniques. I use resist techniques to make the beautiful, subtle, smoked lines and marks on the surface of my work and to enhance the form. My ceramics are smoke fired in a chamber outside, overnight, and then carefully cleaned up revealing the surface. The process involves many hours of dedication however I feel the result is worth it. Ideas for the work have been developed over thirty years from my interest in life drawing, observing people in everyday situations, figurative movement, fashion and humour. The most recent group of work includes dramatic, ceramics shapes as an exciting base for the figurative ideas I have developed. 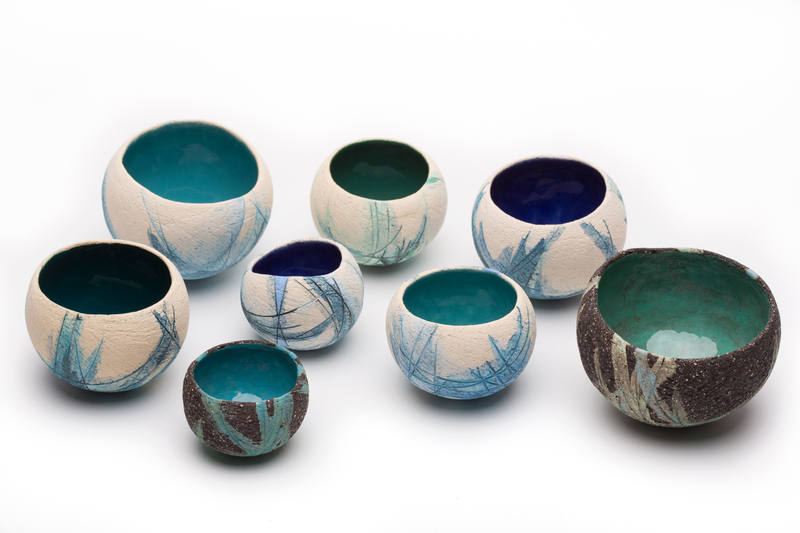 Emma works from her studio in Leicestershire and exhibits widely in national Ceramic Fairs, including, in 2018, Earth and Fire. 'I am a sea and snow artist – painting minimal, textured and abstract landscapes in bright oils, acrylic and marker. I aim to capture the feeling of being immersed outdoors: the catch in my stomach when I crest a hill, the thrill of seeing the sea unfold. My inspiration is a sense of space and colour, having lived in and experienced vast landscapes in Colorado, Yorkshire and Sussex. I am delighted to be exhibiting with Silson Contemporary – Yorkshire was the first place I lived, when I moved to the UK'. 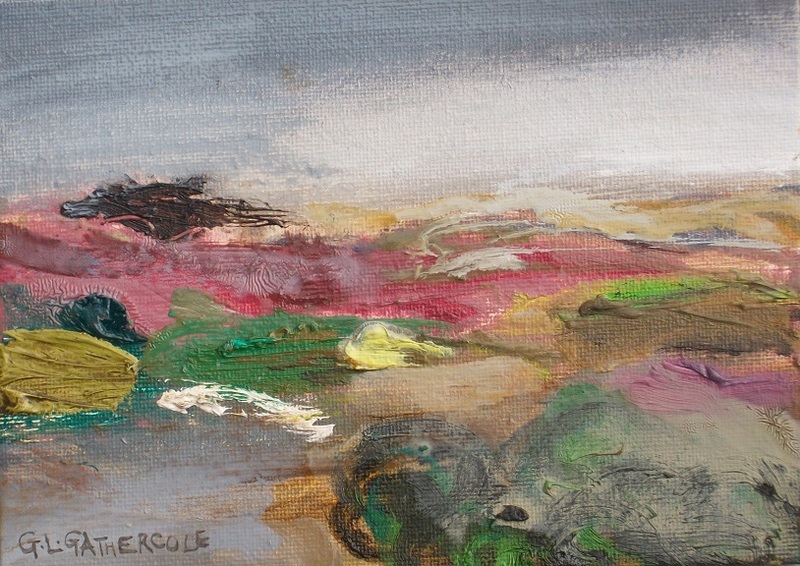 Angeline works from her studio in north London. During 2017, she exhibited with the Atrium Gallery (Cornwall) and The Art Agency (Esher). Her work was included in a National Institute for the Blind charity auction. Predominantly working in watercolour, William's mixed-media paintings reflect the beautiful surroundings that he has grown up in on the edge of the Yorkshire Dales, through which, he seeks to translate the emotions that the landscape evokes onto paper. His work varies from the more abstract to the semi-representational. William works from his studio near Harrogate. He has exhibited at various galleries across North Yorkshire including 108 Fine Art, Harrogate, Zillah Bell Gallery, Thirsk, The Mercer Gallery, Harrogate in the Harrogate Open Exhibition and he has a semi-permanent selection of work exhibited at Chantry House Gallery, Ripley. In 2015 his painting, ‘Foxgloves’, was shortlisted for the New Light Prize and he has also previously been selected for the Great North Art Show, Art for Youth North and North Yorkshire Open Studios.